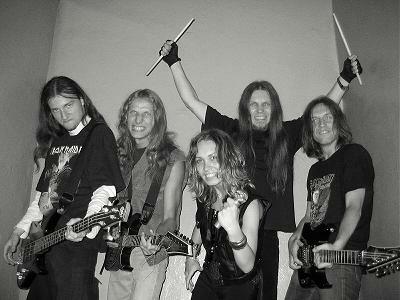 In summer of 2006 Crystal Viper recorded next cover song - this time it was "Flaming Metal Systems" for "A Tribute To Manilla Road" compilation - again with a special guest: Piotr Luczyk, guitarist of the ultiamte Polish Metal legend Kat, recorded the opening guitar solo. Few days later band inked a deal with German label Karthago Records (home of such cult bands as: Noisehunter, Gravestone, No Trouble and many others). 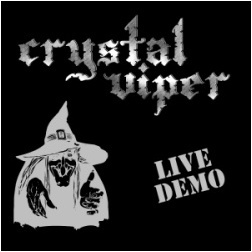 Few months after recording the song for Manilla Road tribute album, Crystal Viper returned to the Zed Studio to record debut full lenght concept-album titled "The Curse Of Crystal Viper". Intro for the album was recorded by another very special guest: Gerrit P. Mutz, lead singer of the famous German True Heavy Metal band Sacred Steel. Debut CD is out now, and soon the High Roller Records (Germany) will release it also on the limited edition vinyl LP. 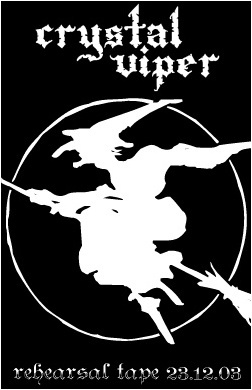 Crystal Viper's style can be described as a combination of Speed and Heavy Metal (Running Wild, Accept, Stormwitch), the New Wave Of British Heavy Metal (Elixir, Angel Witch, Iron Maiden), and Epic Metal (Manilla Road, Zed Yago, Manowar). Crystal Viper is also known from theatrical live shows, and already had the pleasure to share the stage with acts such as Doro, Hammerfall, Stratovarius, Cradle Of Filth, Deathstars, and other bands.